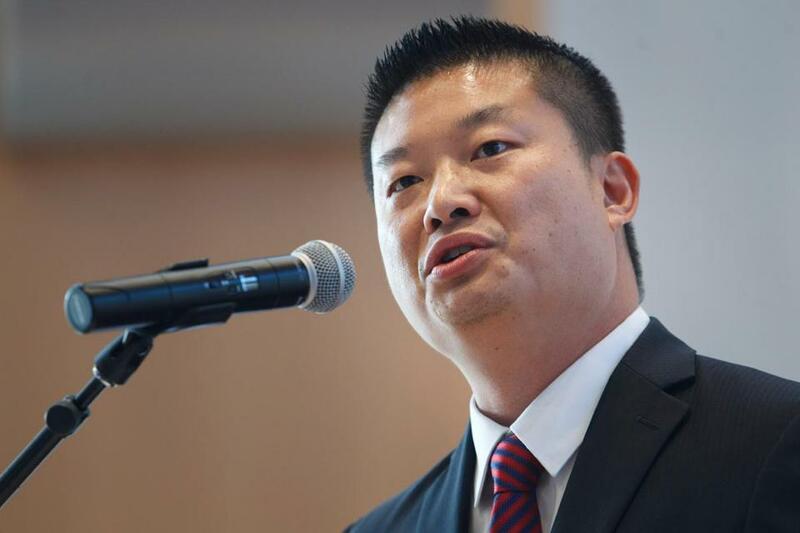 Eighth-graders at McCormack Middle School got impromptu lessons in politics and science Friday, as Mayor Martin J. Walsh, Superintendent Tommy Chang, and leaders in business and philanthropy launched a push to expand science, technology, engineering, and math education. Through the new initiative, called BoSTEM, Walsh and others hope more young people will pursue and be prepared for jobs in the region’s booming technology industries. BoSTEM is a partnership between the city, local corporations such as Vertex Pharmaceuticals, and more than a dozen nonprofit organizations working to provide Boston public middle school students with hands-on learning in science, technology, engineering, and math by 2020. Currently, only 6 percent of Boston students have access to such interactive programs outside school hours, according to the School Department. Within five years, with support from corporate volunteers, BoSTEM proponents hope to make the programs available to 100 percent of the city’s middle school students — about 10,000 children. Chang, a former biology teacher, told the students that improved access to STEM education will help prepare them to fill gaps in the local job market. The United Way of Massachusetts Bay and Merrimack Valley, Boston After School & Beyond, and Citizen Schools are among the non-profit organizations supporting the initiative.